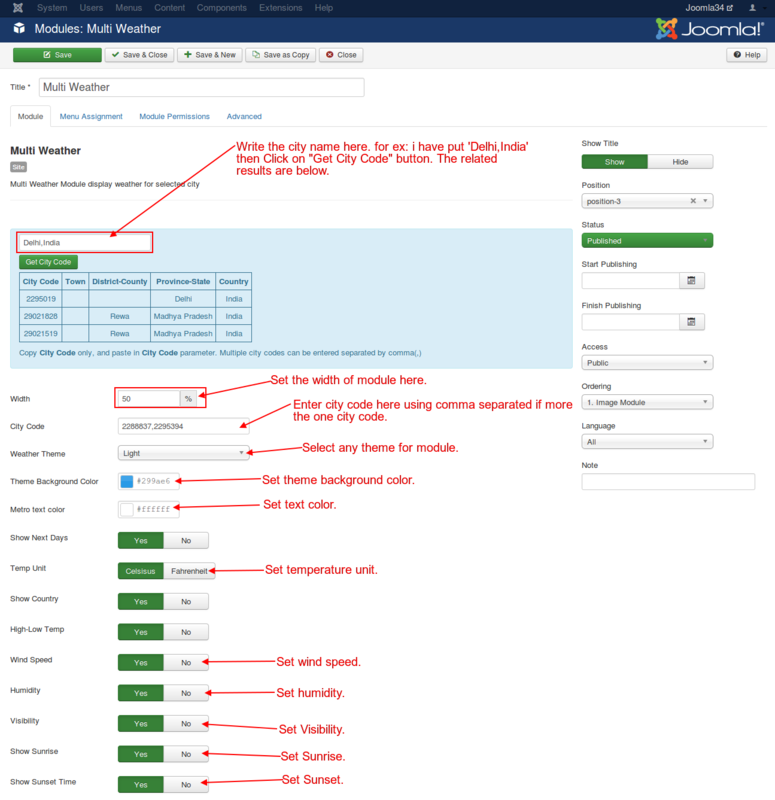 This is the best weather Module in Joomla. This awesome weather module Display weather of selected city in beautiful manner. The weather module have multiple themes you can manage It according to your need from admin panel. Multi Weather is the best weather module for joomla developed by webkul using yahoo weather API. It allows you to display weather data in many beautiful layout as light,metro,dark and full metro etc. Temperature can be viewed in both Celsius and Fahrenheit mode. This module is very useful, easy to configure. 1 - Easy to use and configure at admin end. 2 - Working awesome in modern browsers (Firefox, Chrome, IE8+). 3 - Admin can set Number of city codes from back-end configuration. 4 - Option to display humidity, country, temperature, wind speed, sunrise and sunset is available. 5 - The concept of multiple themes are provided to match the user’s site.